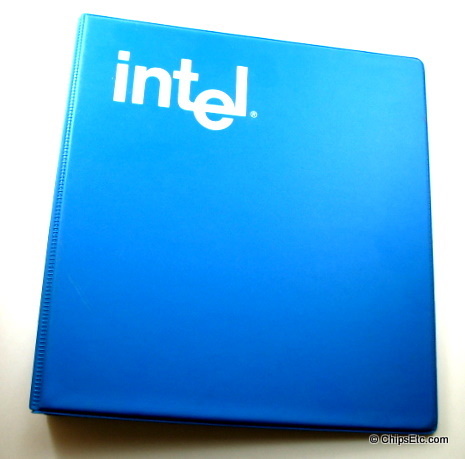 Intel blue vinyl company binder with white Intel logo. 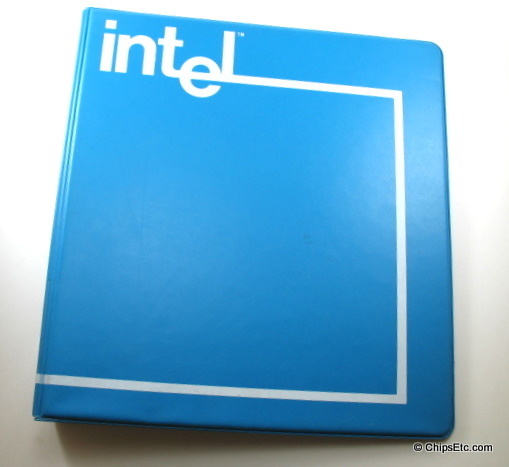 Intel blue vinyl company binder with white Intel logo & white border. 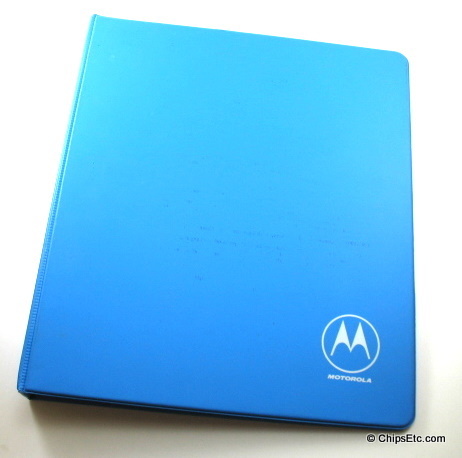 Motorola blue vinyl company binder with white logo. 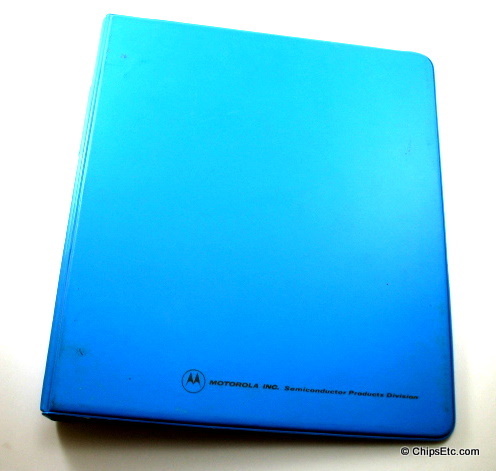 Motorola company binder in blue with Motorola Semiconductor logo in black. Motorola spun off its Semiconductor Products Sector (SPS) into Freescale Semiconductor in 2004, and had plants in Chandler and Tempe, Arizona. 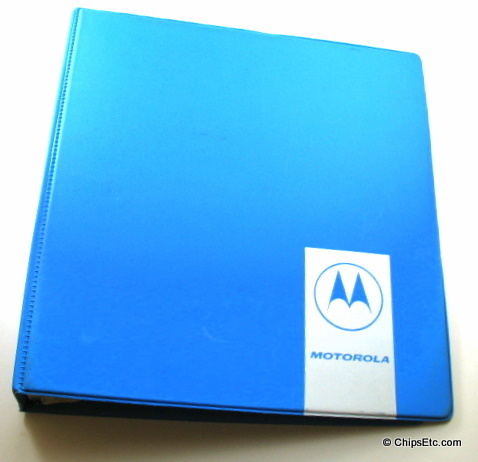 Motorola company binder in blue with Motorola logo in white. Amdahl Corporation was founded by Dr. Gene Amdahl, a former IBM employee, in 1970, and specialized in IBM Mainframe compatible computer products. It has been a wholly owned subsidiary of Fujitsu since 1997. The company is located in Sunnyvale, California. 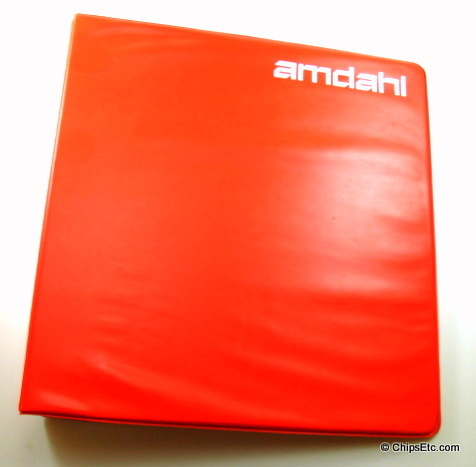 Amdahl company binder in burnt orange with Amdahl logo in white. Cray Research company binder in brown with Cray logo. 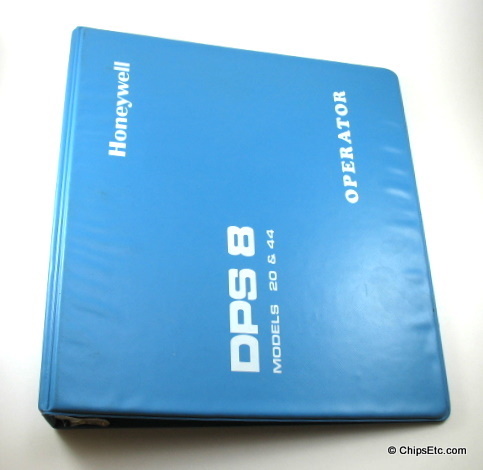 This binder held documents for the Operators of a Honeywell DPS 8 Models 20 & 44 Mainframe Computer during the early 1980's. The Honeywell DPS8 computer was a descendant of the model 645. After a merger when Honeywell bought the GE computer dept, the Phoenix operation became Honeywell Large Information Systems Division, and they brought out a medium-scale integrated version of the GE 600 line as the Honeywell 6000 line. The Multics machine in this line was the Honeywell 6180, an improvement over the 645 in many areas. Subsequent Multics machines used the same processor architecture, with various master-mode-only tweaks to accommodate I/O evolution. But all were 36-bit, 8 index-register, A and Q register machines with many instructions in common. In 1979, following IBM's introduction of its E series (4300 series) that include a significant price reduction, Honeywell decided to completely revamp its computer lines. Existing systems prices were cut at the IBM level and the marketing image was comforted in emphasizing the communications facilities. All systems were calling Distributed Processing System (DPS). The large systems were named DPS-8 and delivered 2Q80. The main model was the DPS-8/70 quoted at 1.7 Mips; it had a cache of 8K words .The other models were DPS8/52, 8/46. Models 8/44, 8/20 were derived from the ELS Entry Level System (0.55 Mips). Blue vinyl binder with white logo.